Ever heard of a gastro mechanic? This is what Stewart Levine and the rest of the Gastro Garage pop-up dinner crew call themselves. Why? Because they cook things — salmon, short ribs — with blowtorches, in front of seated dinners for 10, or for crowds of hundreds. “We are not chefs. 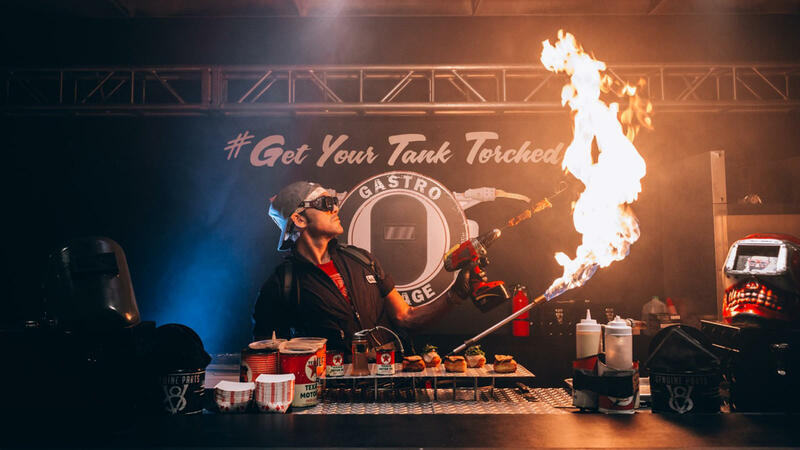 We are gastro mechanics!” says Levine at the start of his pop-up dinner events, which routinely involve “Ghostbusters”-ish outfits, with goggles and backpacks, drills and, of course, blowtorches. It’s more dinner theater than your average pop-up dinner. And you’d be wise to ditch all hair product before the show.